Oracle Korean Aesthetic Clinic: Celebrating 3 Years of Youthification for the Skin You're In! Everyone is a social media junkie, in one way or another. Aside from work or school, our daily timeline routines include updates and beautiful photos of the restaurant we went to, good news at work, a personal milestone, the latest solo trip or a memorable surprise from the one we love. In all photos, the skin has to look good, always. But what if it doesn’t? We may not be aware of this, but apart from sun exposure, there are other external factors that harm the skin including heat and radiation from laptops and mobile phones to flash photography, and even indoor lighting. Thus, even if the adage “prevention is better than correction” is true, the way we care (or not) for our skin is revealed if it is sallow and dull, or fresh and vibrant. For those who want their skin to be naturally healthy with #nofiltersneeded, it’s time to revisit ORACLE KOREAN AESTHETIC CLINIC which is now celebrating its 3rdanniversary. Korean Expertise. Filipino Heart. Affordable Skin Care At Its Best. 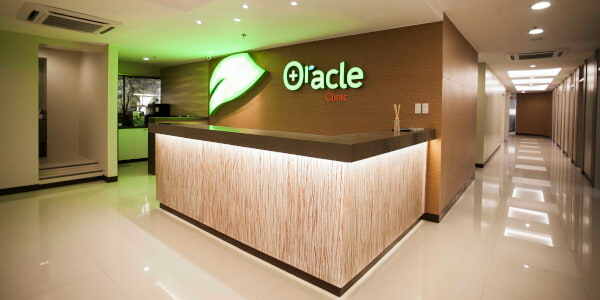 Established in November 2015 under Auracle Wellness Corporation (a company that aims to provide beauty and wellness product and service innovations from all over the world to the Philippines), Oracle Korean Aesthetic Clinic is the first franchised clinic in the country from Oracle Skinland, South Korea, the largest networked dermatology, plastic surgery and obesity clinic in Asia-Pacific. Its founder, Dr. Ro Young Woo, is a multi-awarded dermatologist who pioneered in this field in 2004. Oracle has 80 branches in South Korea, China, Japan, Mongolia, Taiwan, Thailand, Vietnam, Hongkong, and the Philippines. Oracle is staffed by dermatologists, doctors, plastic surgeons, registered nurses and aestheticians with years of experience in relevant fields and who have undergone extensive training in South Korea under Dr. Ro. Its clinic in Makati offers a full range of treatments from problem skin management, non-invasive, age-reversal procedures to surgical interventions. Only the latest state-of-the-art US FDA-approved technology and equipment are used. True to its mission, Oracle provides intelligent, innovative and effective services that provide results likened to the beautiful complexion of top Korean stars. 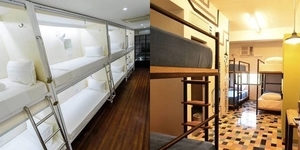 Oracle boasts of relaxing and efficient facilities to make your experience pleasant and comfortable, with sleek contemporary interiors with touches of Asian hospitality. 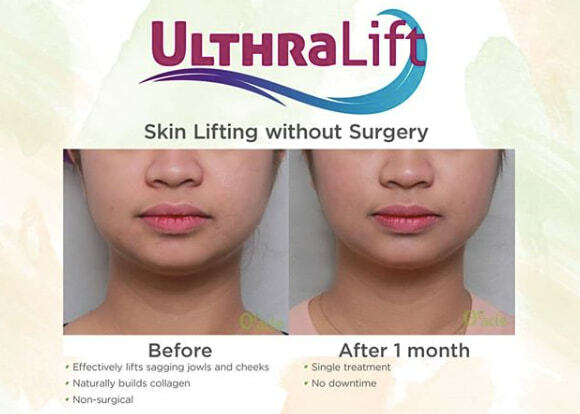 In celebration of its 3rdyear, Oracle launched its newest service- ULTHRALIFT, a revolutionary, non-surgical and time-tested procedure that uses high-focused ultrasound technology that effectively lifts and tightens skin on the face and body. Oracle’s Ulthralift uses gentle yet powerful micro-focused ultrasound to lift not just the skin but also the deep muscle layer underneath, without distressing the surface. It helps intensify the growth of new collagen, eventually bolstering and toning one’s skin from within. 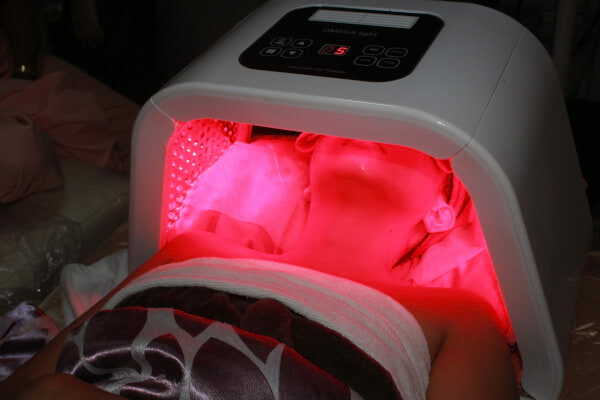 During treatment, warm pulsation of ultrasound energy are dispensed deep under the skin that results to muscle contraction yet the heat also helps buoy up the healthy, natural process of skin cell reconstruction by producing renewed collagen that will make skin, face and neck firmer, tighter and more vibrant. Oracle is also known for its signature Korean Facial Treatment, a popular facial procedure that provides firming, smoothening and brightening of the skin that is instantly noticeable. It utilizes unique skin formulas, specialized techniques, and combined technologies of ultrasound, iontophoresis and LED therapy that originated from South Korea. Pontiac Diode, Accent Ultra, Maximus, Venus Viva, Hydrafacial, Accu Tone, Vibrolight, dermal fillers, botulinum toxin injections (or Botox), among others. Your skin protects you, why not protect it? Visit Oracle Korean Aesthetic Clinic, the expert skin sanctuary and indulge in the best of Korean know-how combined with the unique caring service of Filipinos all at very competitive prices. Oracle accepts walk-in clients but advises scheduling an appointment to avoid the long wait. Treatments are upon doctor’s final recommendations and clients under 18 require an accomplished consent form (provided by Oracle) from a parent or guardian.